Popular accessory company ZAGG, well known for its line of screen protectors, is unveiling a pair of new products this week at CES 2015 in Las Vegas. 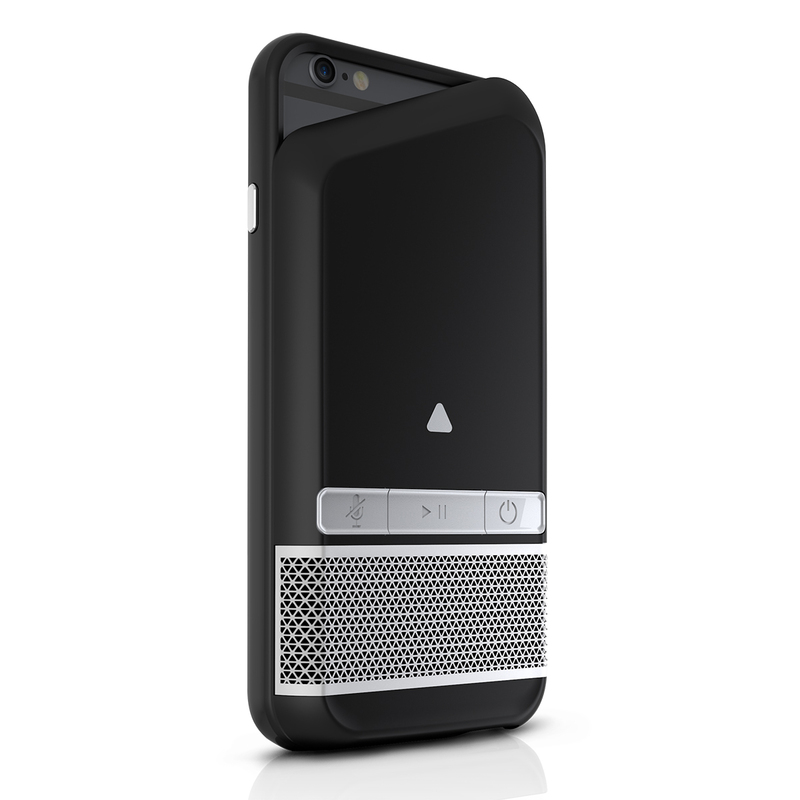 Easily the most interesting is the new ZAGG Speaker Case for the iPhone 6. As the name suggests, the case contains a removable Bluetooth speaker that can be used for playing music or even taking phone calls. The case also boasts an 1,800 mAH backup battery that can provide up to eight hours of additional talk time. It will be on sale during the first quarter. No price was announced. Designed for larger handsets like the iPhone 6 and iPhone 6 Plus, the Pocket combines a Bluetooth keyboard and stand. ZAGG says it offers 85 percent of the typing space compared to a desktop keyboard. When not in use, it can fold up into a small rectangle for easy portability. It costs $69.99 and will be available in the first quarter. ZAGG will also be showcasing its Invisible Shield HDX screen protector that combines shatter protection with a clear finish. Special EZApply Tabs give users a moisture-free method to install the protector. A version of the protector for the iPhone 6 or iPhone 6 Plus is $24.99. The Invisible Shield HDX for either generation of iPad Air is $39.99. For other news from CES, see: Ultimate Ears unveils the UE MegaBoom mobile speaker, Wellograph, the first sapphire crystal wellness watch, gets a new look, more color choices, and With Viper SmartStart, your Apple Watch can start and lock your car.